The Royal Hospital for Seamen at Greenwich built on the instructions of Queen Mary II (1662 – 1694), had been inspired by the sight of wounded sailors returning in 1692. Sir Christopher Wren and his assistant Nicholas Hawksmoor were appointed architects of the new Royal Hospital. 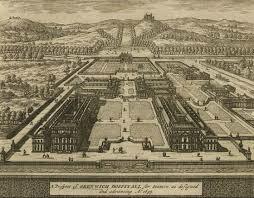 Sir John Vanbrugh succeeded Wren as architect, completing the complex to Wren’s original plans. … so the quadrants (or Courts) were split providing the avenue we see today from the river through the hospital grounds up to Queen’s House and Greenwich Hill beyond, with its other historical features and buildings … eg The Royal Observatory – see link at end. Queen Mary’s Court houses the hospital’s chapel … the original burnt down in a disastrous fire in 1779, being rebuilt and decorated with ‘Greek Revival’ architecture. 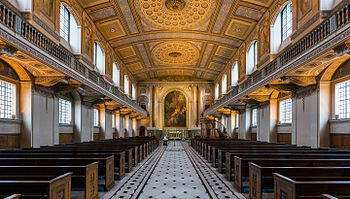 James ‘Athenian’ Stuart (1713 – 1788), as Surveyor of the Royal Hospital, was appointed to re-design the Chapel - was a stroke of good fortune for architecture and design that changed the look of buildings in the late 18th century onwards. 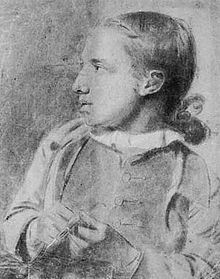 Stuart proved to be a talented artist, after the death of his father, supporting his mother and family, by becoming apprenticed to a fan maker. After 20 years or so he walked to Italy (he still couldn’t afford to go any other way) to expand his artistic knowledge … where he was apprenticed, learning Latin, Italian and Greek, while studying Italian and Roman art and architecture. He went on to Naples, round to Greece … cementing his interest in studying ancient ruins and designs. Returning to London he co-authored with Revett a 'design sourcebook' – fuelling the Greek Revival Movement in European architecture … Grand Tours became popular as the love of antiquity spread. On his appointment as Surveyor to the Royal Naval Hospital Stuart was able to share his passion for this style of architecture when the new Chapel was built. This gave the Greek Revival Movement a real boost … master craftsmen were brought in … creativity came to the fore – but as the cost of Stuart’s design would have been way over the top … funds were scarce - a number of money-saving decorative effects were used … meaning design trickery. Scagliola came into fashion in Tuscany in the 17th century … this was used for producing the imposing marble-like stucco columns at each end of the Chapel. 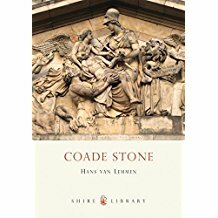 Coade stone was an artificial ceramic, manufactured in Eleanor Coade’s Lambeth factory – sadly the technique has been lost. Eleanor Coade (1733 – 1821) was an entrepreneurial businesswoman known for her methodical procedures to produce consistently high quality products. She had managerial skills, entrepreneurial flair and a talent for marketing and public relations. She is worth reading up about … her success may be gauged by Josiah Wedgwood’s complaint that he “could not get architects to endorse his new chimney- piece plaques”. 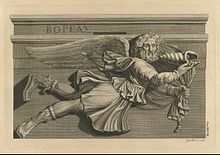 The Chapel contains many Coade stone products … the angel heads and column capitals in the nave, the crest of the Royal Hospital on the balconies, while in the vestibule there are four life-sized Coade stone statues representing the virtues: Faith, Hope, Charity and Meekness. Duty reforms made imports cheaper; mahogany could be used more freely … when it was mixed with home grown woods … the art of wood-turning was discovered. The pulpit and the organ … both were made from local and imported woods – oak, mahogany and limewood … the organ is still used almost every day by organ scholars … and remains known for its beauty of tone. Sadly the organ builder, Samuel Green (1740 – 1796), died in near poverty – how often that happens … yet the names of great craftsmen can live on. The Chapel was extensively restored in the 1950s … and now looks almost as it did when it was built … it is a stunning and beautiful place of worship … hosting a regular Sunday service. I will write up one more post in this Bucket List series on the health of the River Thames … then I change tack and carry on with whatever springs to mind. So Queen Mary's selfishness had some positive impacts on the design. Loved Blogorattis post - thank you. I am looking forward to learning more as you discuss the health of the Thames. Wow Hilary I really enjoyed this post. Hard to believe that anyone could actually walk to Italy but James Stuart obviously was very keen to learn more. One person with a vision can make a difference. It has helped with my current readings to fully comprehend this area. What a lovely building, I am going to have to look up more with inspired interests. Interesting - I guess to me they sound a bit selfish - but it did work for good. Such beautiful work! Amazing how the design had to fit with the Queen's desire not to lose her view. @ EC - well she probably made a very wise decision ... the complex looks amazing today and now the Queen's House has been restored, which I have to visit at some stage ... it's an essential part of our history. Delighted Blogoratti's post was enjoyed ... next let's drink to the Thames! @ Alex - absolutely ... someone with clarity of mind and vision - Stuart was definitely that. @ Christine - the workmanship must be amazing ... I've had a brief look ... but the Queen was absolutely right about her view - we'd never want to lose our river view! What a bucket list you have, Hilary! I love the gentleman who "After 20 years or so he walked to Italy". I just walked all over the Washington DC area (only about 10 miles in 2 days, but a lot more than my usual) and am still exhausted, two days later. Plus my feet are dead. I guess Stuart was more used to walking than I! It seems to me the view is amazing no matter where you are standing. Magnificent building. Hi Hilary. I think the view of and from the Royal Hospital at Greenwich is probably the finest in London. (Possibly equal with certain aspects of St Paul's). Well, I guess when you are Queen you can have whatever you want! I think her taste was good in this instance. All sorts of things went into the design. Cool. Such talented, driven to succeed people. Their work is amazing. A gift to us all. The chapel is beautiful. How I would love to worship there. 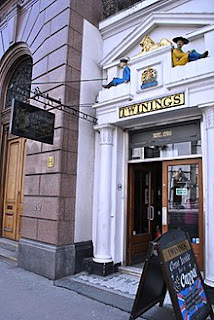 Okay, now I know where I'm visiting on my next trip to England, whenever that is. For me, last time, London was some galleries, the Tower and lots of theatre. So much to see and do! Greek Revival - wasn't that used in those American plantation buildings? Translation and info: Who'd Have Thought? @ Jacqui – well the visits were all so worth it and with the blog I can check up on more information … and find things like the archaeologist- architect- artist - designer who walked to Italy to learn more. Oh gosh I know one day of walking around London and I’m exhausted … well done on enjoying the visit to Washington … I am not used to walking much either! Certainly not to Italy! @ Bazza – you may well be right … Greenwich Park offers stunning vistas at all times of the year … but I haven’t been to many of the other hills or view points … St Paul’s is extraordinary but now surrounded by so many other developments … still that is one amazing building. @ Marja – I felt like you did when I lived in South Africa – I miss the 2,000 + years of historical culture that seems to be endemic in European life. People did walk so much back in the day … it was an affordable way of getting to places – to us seems a little challenging! This is a bucket list destination for me too – and you've made me even more determined to make the trip. I love these "behind the scene" details you provide so generously Hilary - you're the best tour guide! 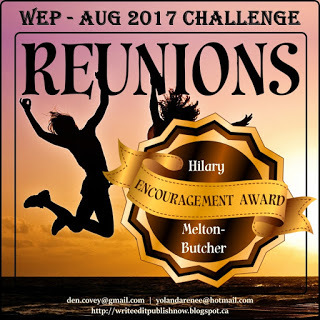 Hi Hilary, I enjoyed reading this post, and I loved the pictures. An interesting tale of architector. History is always interesting. Thanks for spending so much time putting this together. I love that the organ is still in use today. How awesome is that? Although it's sad the builder died in near poverty. Glad you had such grand adventures with your friend and shared them with us. 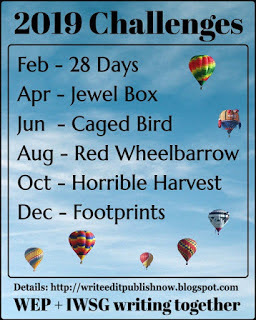 I know I appreciate your bucket list and blog posts. Boy do I have a lot to catch up on. Bucket item #7? Wow! The Royal Hospital for... is magnificent (looking). Thanks for the history in this. You do that well. @ Kim – so glad you enjoyed it … Stuart was a bit of an artistic find – so I was glad I could write him up. Yes lots of people walked around in Europe – especially in those days .. but I wrote about Patrick Leigh Fermor – who in the 1930s walked through to Istanbul – he’s written three books – they are a very good read … check my posts! 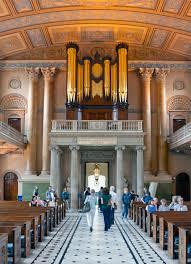 @ Elsie – yes – Trinity College of Music moved out to the Greenwich site and they, at times, use the organ and chapel. Whether or not Queen Mary's motives for wanting an unobstructed view was selfish, her demands sure paid off in the long run. That looks like an amazing place! And I never would have guessed those columns weren't made of pink marble. I love learning about queens, castles, and chapels. Thanks for for tidbits! 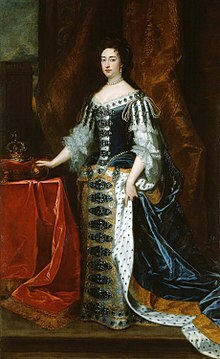 There were some fascinating women in British history. Love hearing about them. While I was there I saw the tombstone of a female physician from the 1700s. She died young, the daughter of an Admiral. Thanks for sharing this post, Hilary. Happy Fall. Hope you're well. I'm impressed with Queen Mary for having the hospital built for the sailors. I have a sister named Eleanor. I'm going to check out the bio of such a woman who was way before her time, competing with the men and winning. So that's why there is a little bit of Greek mixed into the more modern buildings there. It's all so beautiful. thanks for the tour, the photos, the history and the details (I love construction details). I can't get my mind off of one bit - "...walked to Italy." Yikes! And here I am giving myself credit for taking the stairs. This is truly fascinating, Hilary! As I've said before, I learn so much reading your blog. And the photos are stunning. I had no idea artists could "pretend-make" marble look alikes. It's all still beautiful. I enjoyed the history. And Twinings tea is my favorite, especially Lady Grey Tea. Thanks for all you do to educate your followers on a wide variety of subjects. All best to you! Ms. Coade was certainly an unusual woman for her times. It's nice to read about a successful business woman from that era. I loved this post, Hilary! I spent a lot of time at Greenwich as a child. We were taken there regularly, but I never knew as much about it as you've taught me here. Thank you! I love these posts of yours, Hilary! I always learn something new. I'm not a fan of baroque (or post-baroque), but these works seem well worth a visit. Thank you so much for sharing with us! wow, the interior of that chapel is gorgeous. @ Dan – so glad you’ve enjoyed the posts … and where I can understand some of the technicalities I’ll put them in … where I can’t they get quietly forgotten about! @ Victoria – thank you for your compliment. I try and add in photos that match – brings the post to life; blogging always brings up new aspects … that if I can bring them into the post I will – educates me too. Thank you for taking us on this trip with you, Hilary! Amazing that the organ is still in such wonderful condition and that scholars can play it/enjoy its music every day! Thanks, as always, for the thoughtful information and research that you share, Hilary! How wonderful that the organ is still in regular use. Craftsmanship and dedicated in harmony. Very interesting to read and learn more about Greenwich. Quality has always mattered in products, though we now see that it is mostly quality products that are still being touted many, many years later. As for walking to Italy, pretty sure that's an awesome position to be in, even if it seemed to be a pain at the time. ;) Here to wish you a happy day!